Explanation: This extreme close-up, a mosaic from the Mars Hand Lens Imager (MAHLI) on the Curiosity rover, spans a breathtaking 5 centimetres. It captures what appear to be elongated crystal shapes formed by the precipitation of minerals dissolved in water, a likely result of the evaporation of ancient lake or river from the Martian surface. Brushed by a dust removal tool and illuminated by white LEDs, the target rock named Mojave was found on the Pink Cliffs outcrop of the Pahrump Hills at the base of Mount Sharp. The MAHLI images were acquired on Curiosity's sol 809, known on planet Earth as November 15, 2014. Of course, the inset 1909 Lincoln Cent image is provided for a comparison scale. 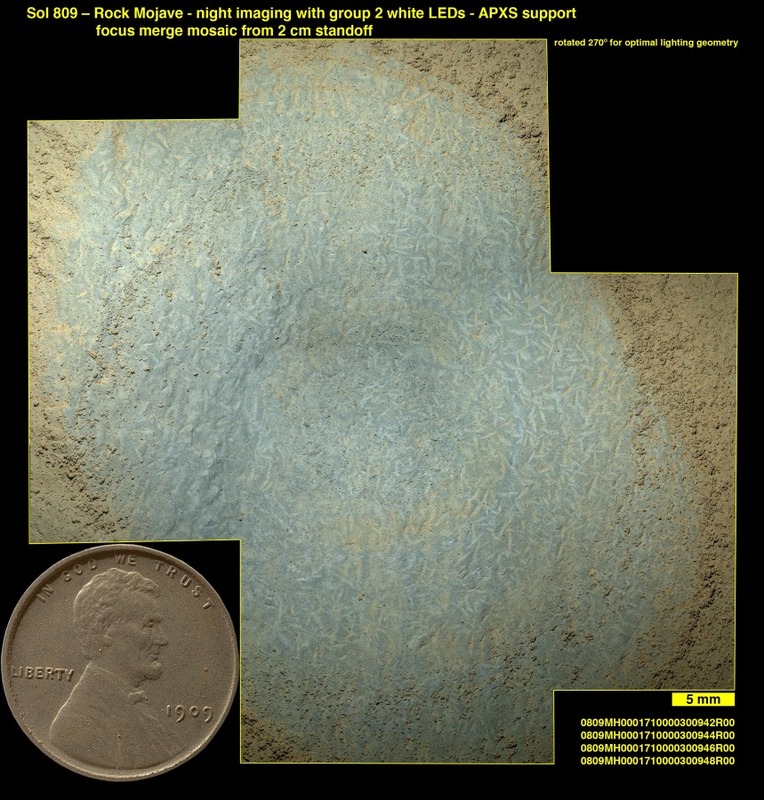 Covered with Mars dust itself, the penny is a MAHLI calibration target attached to the rover.